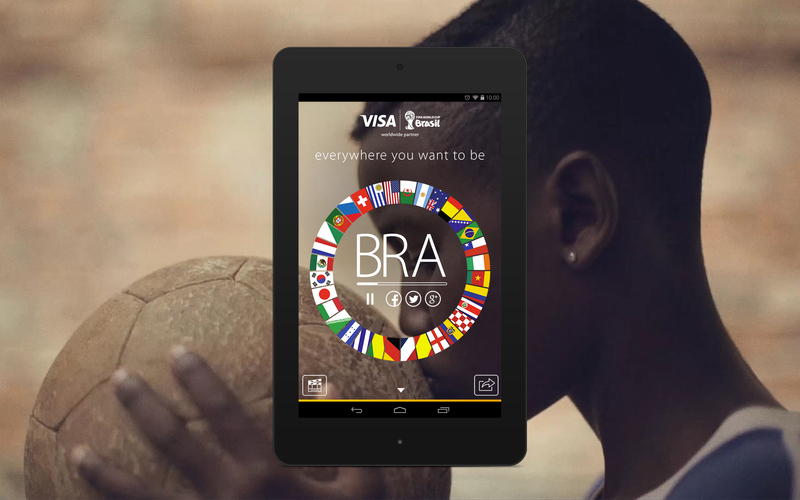 Visa, one of the official partners in the 2014 FIFA World Cup, is running “Samba of the World”, a digital campaign filmed in each of the 32 qualified countries. Every country has its own Samba, its own joy, its own way of dancing with a football. And since every dance needs a unique song, Visa invited musicians from each of the 32 qualified countries to reimagine the Brazilian favorite “Maria Caipirinha” (Samba da Bahia). Then they asked 32 filmmakers to show the world how their nation celebrates the FIFA World Cup. The result is The Samba of the World, a spirited journey around the globe. 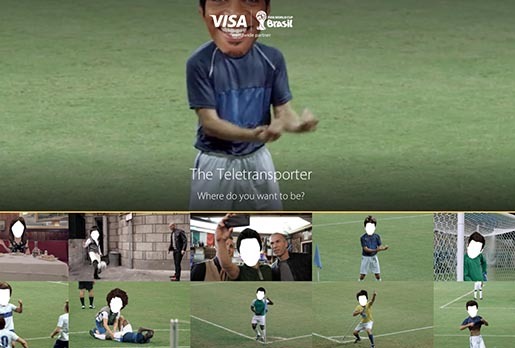 Visitors to the Visa World Cup site are able to get to know each country’s unique way of celebrating, including regional dance moves, food enjoyed by fans on match days, the type of gear they wear, even their country’s football rituals and history. Select each country’s flag at the Visa World Cup site, worldcup.visa.com, to jump between all 32 films. Or go straight to The Samba of the World YouTube playlist. The Visa site also has a Teletransporter that, using your webcam, puts you in some classically World Cup situations like taking a selfie with Zidane and Cannavaro, giving rubdowns to players, and doing Higuita’s unmistakable scorpion save. New templates are being added as the tournament progresses, allowing fans to take part in the matches’ most talked about moments. The Samba of The World campaign was developed at AKQA, Sao Paulo, by creative directors Hugo Veiga, Diego Machado, art directors Daniel Soares, Cloves Menezes, designer Tim McCracken, copywriter Josh Kobrin, producer Amy Yvonne Yu, UX designer Emma Lawler, developers Mayo Tobita, Hiro Yamane, Richard Tirta, account directors Cristiano Alburritel, Ricky Schramm. Adviser to directors was Saman Kesh at Skunk. Music was produced at COPILOT Strategic Music + Sound by directors Jason Menkes and Ravi Krishnaswami.